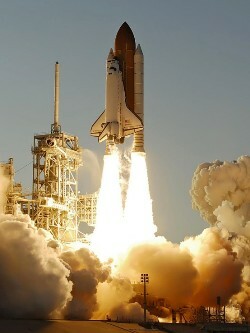 As the last Space Shuttle completes its final mission, Fortis continues to focus on achieving new firsts in space. The company recently renewed it’s commitment to space exploration by sealing a deal with the Russian Space Agency’s new director, Vladimir A. Popovkin to continue supplying the Fortis Official Cosmonauts Chronograph as standard equipment to all cosmonauts and astronauts attending the Yuri Gagarin Cosmonaut Training Center. Fortis watches have been space proven since 1994 and have accumulated more time under weightless conditions than any other brand. 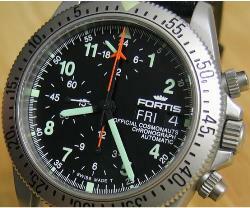 The very first Fortis watch launched into space was a Stratoliner Chronograph powered by a Lemania 5100 movement. This watch was soon replaced by the 38mm Official Cosmonauts Chronograph, powered by the same Lemania movement. 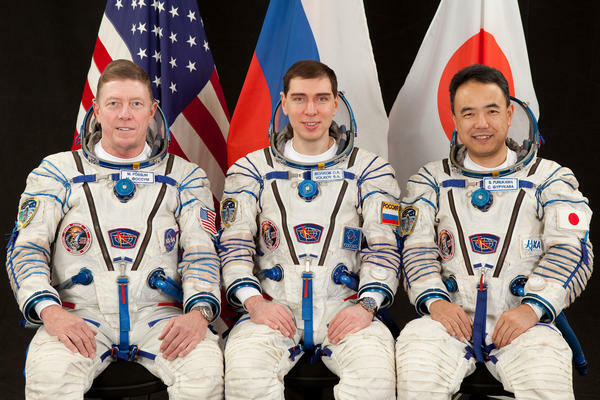 Today’s cosmonauts and astronauts receive the slightly larger 42mm B42 Official Cosmonauts Chronograph. These impressive space proven timepieces have already made over 98,000 orbits of the earth, and are well on their way to 100,000 orbits with Fortis watches on the wrists of the current International Space Station crew. The Titanium Edition of the B-42 Official Cosmonauts Chronograph was approved as the official chronograph on board the International Space Station (ISS) on July 14, 2005, and over ten years later Fortis remains the exclusive supplier for the Russian Space Agency on board the ISS. 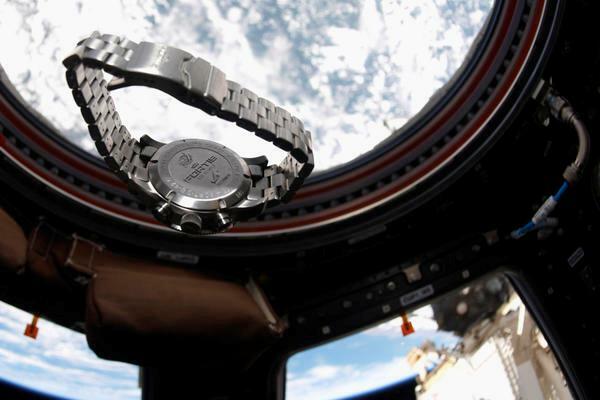 Fortis space watches are not just commemorative editions produced in honor of space exploration. All Fortis watches featuring the “Yuri Gagarin Space Academy” logo on the back are cleared for actual use in space. Over 14 space missions have been launched since 1994 with a Fortis watch on board and many more are expected in the years ahead. To ensure that the seIf-winding movement of the B-42 Official Cosmonauts Chronograph would maintain accurate time in space, scientists have tested it using the Gagarin Training Center’s high velocity TsF-18 centrifuge. The watch easily withstood a 12 G. load (12 times the Earth’s gravity) from three different angles with no negative effects. During the Soyuz TM-19 mission, cosmonauts wore their Fortis watches in open space during an 11 hour space walk. The Official Cosmonauts Chronograph has been exposed to temperatures as low as -170 degrees centigrade and as high as +130 degrees centigrade and kept on ticking. The Space Shuttle fleet will soon be retired, but Fortis continues to be inspired by what lies ahead in space. 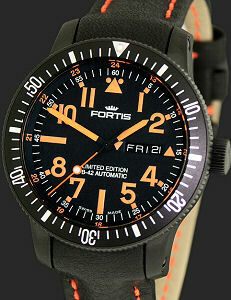 It may be a long time before man sets foot on Mars, but Fortis is ready with the B-42 Mars 500 Limited Edition. The Russian Space Agency is already conducting experiments to see how future crew members will react to a simulated 520-day mission to Mars by seeing how six volunteers react to 74 weeks in confinement. During the Mars 500 experiment, each of the volunteers will be equipped with a Fortis watch. 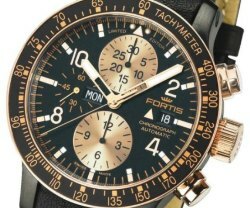 Fortis Watches Go into Space | Watch Brands interesting post. I tought this piece of news would be of interest: British singer Sarah Brightman may be the next paying passenger to ride a Russian rocket to the International Space Station, the Interfax news agency reported on Wednesday, citing an unidentified official in the space industry in Russia.